How Does Property Crowdfunding Work? Investing money in property crowdfunding and secured loans isn’t for everybody. The crowdfunding platforms will vet sign-ups and aren’t interested in doing business with inexperienced or under-educated investors. But, if the shoe fits you should wear it. The opportunities offered by crowdfunding are hard to ignore. What is Property Crowdfunding and is it a Good Way to Invest? How are Investors Protected with Property Crowdfunding? What are the Returns Like with Property Crowdfunding? What Problems could Crowdfunding Investors Face in the Future? What Due Diligence is Needed Before Investing in Property Crowdfunding? What Property Deals Work Best with Crowdfunding? Amy: So, Ben, you have told us a little bit about what property crowdfunding is and how Property Moose operates. How does it work in practice? So, if I wanted to invest some money, where do we go from here? Ben: Okay, so, let’s take two different investor types. So, let’s pretend that you are an 18-year-old, you are fresh out of wherever, you’ve never invested before, in your life. It’s a very murky world, you have got to fo your research, all that kind of stuff… You have just fallen into a load of money and you happen upon Property Moose or a/another crowdfunding platform, right? So, you can set up an account for free, no problem, but there is a very strict policy with us. I can’t speak for everybody else because I don’t know, but once we’ve got your contact details, you have to upload your identity. We need to know who you are, proof of address, proof of ID, all that kind of stuff. We, basically, make sure that we abide by anti-money-laundering regulation. Amy: Absolutely, you have to be compliant with so many regulations. Ben: So we have to, essentially, ensure that we know that you are, who you say you are. And then on top of that, we also need to know that you are not just foolishly investing money without understanding the risks of what investment is all about. So, we have this thing called an appropriateness test. That, essentially, is, ‘Who are you? How would you consider yourself to be? Are you an everyday investor, as in you have invested in properties or stocks or shares or whatever it might be? A high-net-worth, a magnate? What is your investor profile?’ And it has the option to say, ‘I’ve been invested before’. Now, if you do say that, which a lot of people do, then you fail your appropriateness test and we can’t work with you because it would be completely unfair if we were just taking money from people without them understanding the risks. So, the great thing is then, is the number of people we actually get contacted by, saying, ‘Why have I failed?’. So, fundamentally, I mean the question was, ‘What happens if you haven’t invested before?’ We would never take your money without educating you first. That’s the key to it. Ben: As I said to you before, when you have got almost £30,000 invested on the site, and they’re from 130 different countries. I don’t speak any other languages, so, it can be quite complicated. But when you are speaking to someone who is in Andora, for example, and you find out that they made their money from whatever it is, I can’t say specifics… There is some really exciting stuff out there. And then you get through that barrier. Right, so this guy has told me this stuff about him. There’s a trust level there, we have got a rapport going. 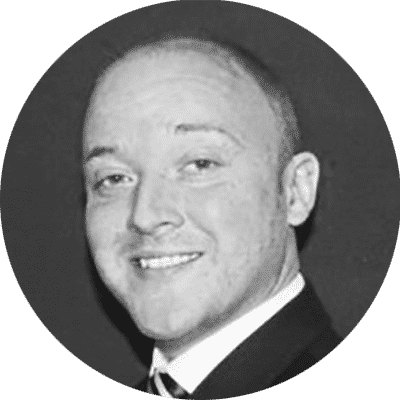 They like a particular property, they like the look of it and you have to explain it to them… It is kind of like there are three different disciplines on the site. Ben: You’ve got secured loans, which can provide a return of between 7% to 12%, depending on what you invest. And then, you’ve got the true, property crowdfunding side of things, which is always based on the forecasted returns of that property. So, if we rented it out for three years, you get the rent, on a monthly basis, and then you also get the exit funds at the end, proportionate to whatever shares you’ve got. But, when you speak to a high net worth and the like, how do you perceive yourself, what is your comfort level? Oh well, I’ve got £50k to invest and the trouble is, almost trying to fit that amount of money into the right portfolio. So, it may not be, put £50k into one property. They actually prefer to spread the risk, for example, and that is the great thing about the site, is that you can invest in multiple products, in one place, and track everything, and have it all reported back to you in one, safe location. But really, it’s down to how you feel comfortable. All it does is, it makes sure that you are protected. We are, as compliant as we possibly can be, without going too crazy and not allowing you to give us any money. And we’ve done really, really well as a company. I mean, the last four secured loans that we have exited, they’ve all exited on the timescales we said they would, for the returns we said they would. And we’ve got some very, very happy investors. But I can’t base previous success on the future, I got to say that. But yeah, we’re really proud of what we have done. Crowdfunding is the simplest and quickest way to invest in property. In just a few minutes you can be well on your way to building a diversified and balanced, property portfolio. 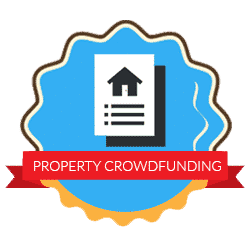 Unlike traditional forms of property investment, crowdfunding does not require huge sums of money to get involved and opens up the property market to everyone. If you want to find out more then click the link below where you will find all the information you need to get started including the details of our favourite property crowdfunding platform. It’s simple, it’s secure and you can invest your money in minutes.